The Russian Prosecutor General’s office has, in its own words, ‘rehabilitated’ six members of the former Russian Royal family, the Romanovs. The 'rehabilitation' means the six who were murdered by the Bolsheviks are now considered to be victims of repression. 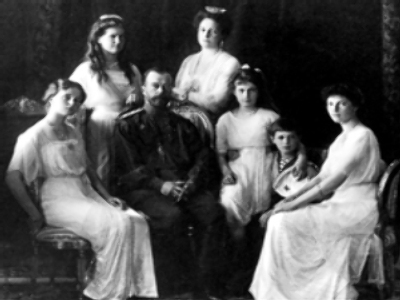 The cousins and in-laws of the last Russian Emperor were detained and killed on the order of Soviet authorities 1918. 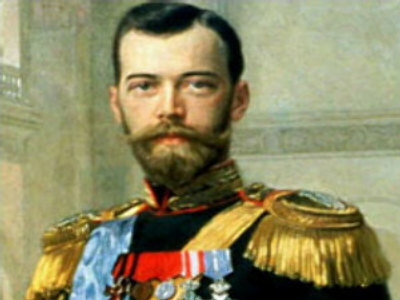 Tsar Nicholas II and his closest family members were also executed on July 17, 1918, but 'rehabilitated' in October 2007 after years of litigation in accordance with the federal law on “Rehabilitation of victims of political repressions”. That legal action was initiated by the head of the Russian Imperial House, Her Imperial Highness, Grand Duchess Maria Romanova. The Prosecutor General’s office had refused three times to declare the last Russian Tsar, his wife and five children the victims of political repressions. But the Supreme Court overhauled its decision. German Lukyanov, lawyer for the Romanov family, says the ruling of the Supreme Court made other rehabilitation cases much easier. “The Supreme Court has ruled that all people who were detained and killed by authorities because they were the members or associates of the Tsar’s family are victims of political repression. And this decision has set a precedent for the Prosecutor’s Office,” Lukyanov explained. This time it took less than two months to process a new request filed by Maria Romanova. “Careful analysis of the archive materials and documents brought us to the conclusion that these six members of the royal family were repressed – arrested, exiled and kept under Cheka (The All-Russian Extraordinary Commission for Combating Counter-Revolution, Speculation, and Sabotage) surveillance, all because of their social status. They were not accused of committing any crime,” the Prosecutor General’s Office said in its statement. The rehabilitated royal relatives are: The Tsar’s younger brother Mikhail Romanov, Grand Duchess Elizaveta Romanova, Tsar's cousin Sergey Romanov, Prince of Royal Blood Ioann Romanov, Grand Duke Konstantin Romanov and Duke of Royal Blood Igor Romanov. Seven of their closest aids (mostly personal servants and secretaries), who shared the faith of their Royal masters were also rehabilitated. Moscow’s Patriarchy has hailed the decision as an important step for all of Russian society. “It is important that the state no longer considers [the Romanovs] criminals. Now we need to return their names to the historical memory of fellow Russians as those of people who unselfishly served their country,” a spokesman for Moscow’s Patriarchy told Interfax-Religion.Ru. Arseny Roginsky, the head of International Historical-Enlightment, Human Rights and Humanitarian Society Memorial, also sees this ‘rehabilitation’ as a breakthrough. “It would be good to carefully study facts regarding executions by the Soviet regime during the Civil War. We need to rehabilitate many more,” Roginsky told Interfax. Lukyanov says more appeals are to come. However, he stressed that the Russian Imperial House doesn’t plan to seek a return of the Royal property. Maria Romanova has previously stated firmly that her legal actions have no financial aims. “I can only pity those who don’t believe that anything in this world can be done not out of mercenary motives, but rather for truth, honour and dignity,” Romanova has often said in the past.